My good friend Marcia Montenegro, who graciously co-moderates our Sola Sisters Facebook wall, recently did a show with Janet Mefferd in response to an article in the latest issue of Christianity Today in which a psychological profiling tool known as the Enneagram was promoted as something beneficial for Christians to use. The article, entitled What Kind Of Sinful Are You? encourages the use of the Enneagram, even though, as Marcia discusses with Janet, the Enneagram has its roots in unbiblical mysticism. Before becoming a born again believer, Marcia was a professional astrologer in Atlanta. And yes, there are actually "professional" astrologers who take serious studies (and have to pass actual exams) based on the occult practice of astrology! Marcia took what she did in the New Age seriously, as I did. Well, we have both repented and turned from our New Age/occultic practices, have become born again believers in Christ, and now we take Christianity seriously, and we both seek to study diligently to show ourselves approved (2 Tim 2:15). 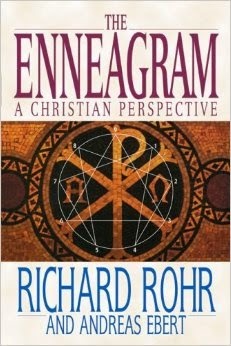 Part of that is a desire to help our fellow Christians understand how and why some of the new trends coming into the church aren't always biblical, especially this latest one to become popular, the Enneagram, which was developed about a hundred years ago by a mystic, and is based on occult principles. We also would do well to remember that ALL that we need to know about how to navigate through our lives we find in God's word, which gives us all that we need for life and godliness (2 Pet 1:3). We don't need to turn to personality profiles based on occultic teaching and/or worldly wisdom (1 Cor 1:18-20, 1 Cor 3:18-21). A friend commented on my Facebook wall that she had briefly dabbled in the Enneagram, years ago, but that she found it very confusing, and also had a sense from the teachers pushing it that there was an acceptance of sin. That is the danger in these kinds of profiles: a minimizing of sin. 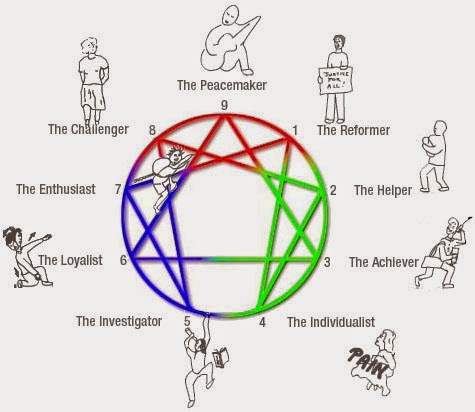 For example, let's say someone is profiled as a "Challenger" or "Achiever" type in the Enneagram profile, in the same way that in years past they might have been profiled as a "Type A." Well, the problem with such profiling is the tendency for some to then minimize or even excuse certain sinful behaviors perceived to be part of that personality "type" (i.e., an "Achiever" who is excused for being pushy, driven, aggressive, etc., rather than being called to repent).